What good reason would there be? Besides, we already have not_Queen, she voiced the Spirit. I don't see any fun in playing as one of the mods or devs. They don't fit the game as playable Characters. There's only one dev I'd like to see in the game: Ash. And that's because he was actually taken by the Entity. It'd work, we just need a Dev as a Killer and a balanced game as the survivor. No. 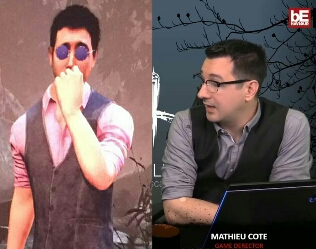 I don't remember his name, but it was a different dev at BHVR that was Dwight's face model. You sure? Cause i heard about that rumor that for every Dwight that gets killed a Killer gets nerfed.